200-Amp 7,500-Watt Non-Fuse Outdoor Manual Transfer Switch This service-entrance rated transfer switch includes a 200 Amp utility main. Designed to mount on the outside of a house or building next to the utility meter, it connects to the load center indoors via subfeed lugs. Instead of connecting just a few circuits, this transfer switch allows you to feed generator power to your entire load center and manually turn off selected loads up to the capacity of the generator. Includes locking plug for quick generator cord connection and extra spaces for up to 12 branch circuits to feed other panels like a barn, detached garage, or workshop. 200-Amp 7,500-Watt Non-Fuse Outdoor Manual Transfer Switch is rated 5.0 out of 5 by 1. Rated 5 out of 5 by captelectron from Great price and easy installation I installed this transfer switch for a customer and I'm back to buy a second for another customer. Using this transfer switch eliminates the need for a 200 amp fusible disconnect or main breaker meter. This switch saves time and money. 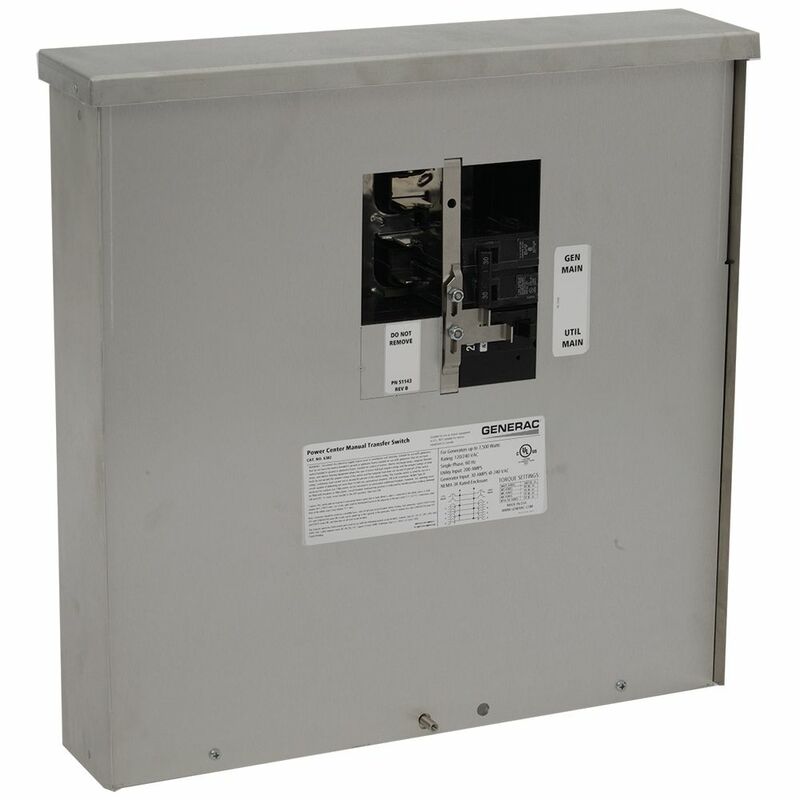 It is not as heavy duty a typical 200 amp transfer switch, but it is a great option for the price. This is all you could ask for for a basic backup generator.